Is it a bee? 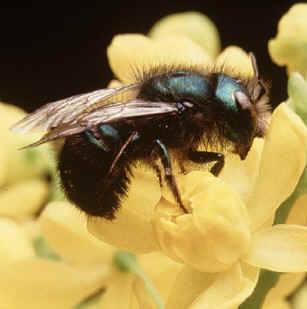 The Logan bee lab helps you distinguish bees from other similar insects. See also the Bee Identification Chart. NEW! 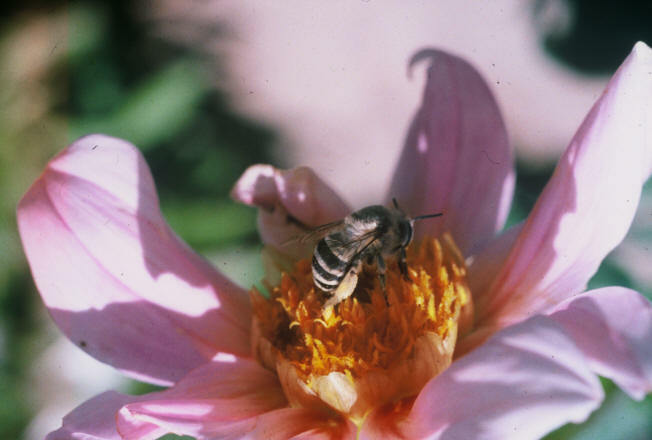 A bee identification exercise to try with master gardeners, kids and other groups. 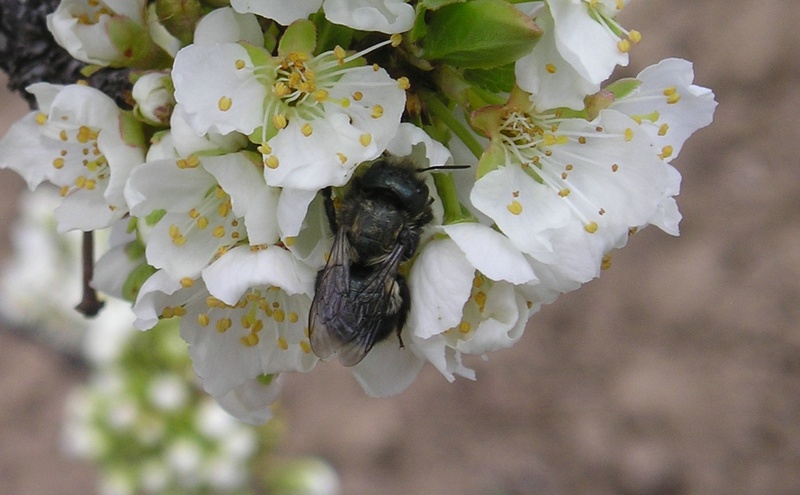 Also, visit our pictorial Guide to Orchard Bee Management. 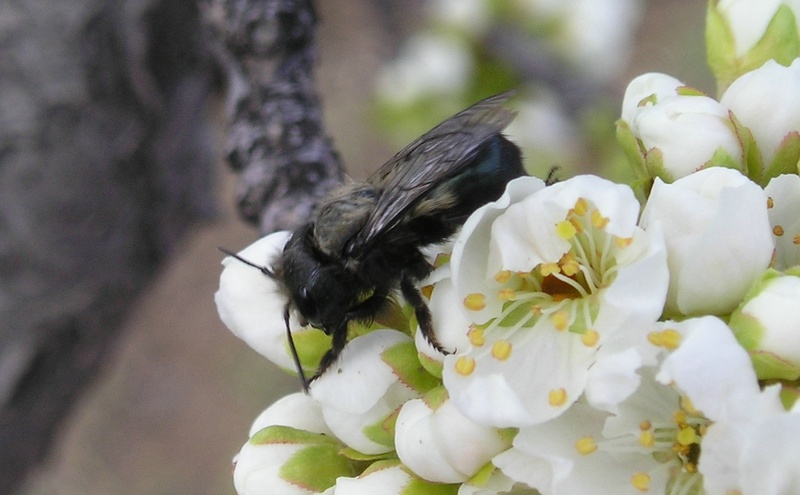 Osmia lignaria, the blue orchard bee, on plum. Osmia ribifloris on barberry flower. Hornfaced Bee, Osmia cornifrons. 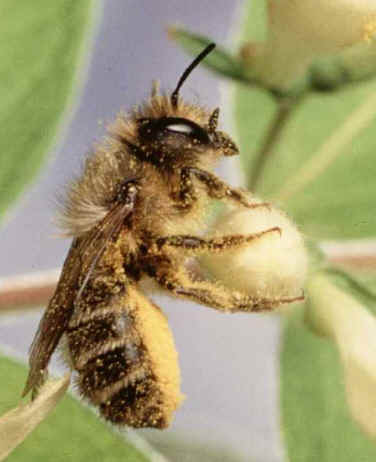 Note pollen-collecting hairs filled with pollen, under the abdomen. The alfalfa leafcutting bee, Megachile rotundata, on alfalfa flowers. 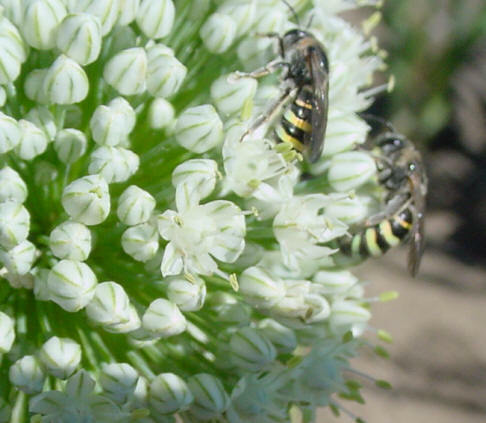 The alkali bee, Nomia melanderi, on onion flowers. Megachile relativa cutting a leaf. 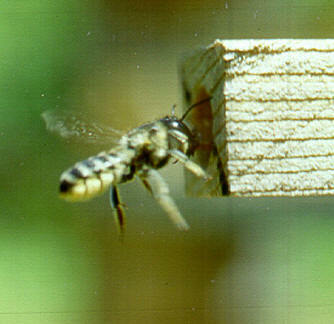 Megachile relativa entering a trap nest. 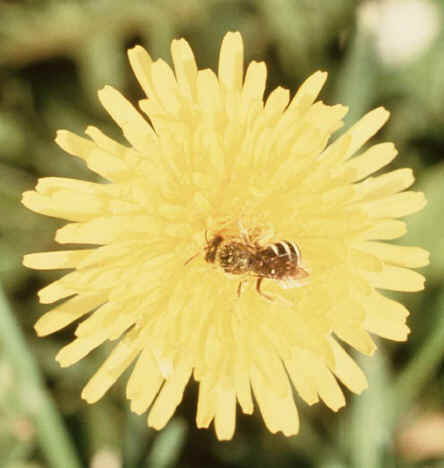 Sweat bees, Halictidae, on dandelion (left) and .mustard (right) Nest in the ground; some have social nesting behavior, with a queen and workers. Left: Photo from Suzanne Batra, USDA ARS Right: photo by Karen Strickler. "Plasterer" or "Polyester" bee, Colletes inaequalis at her nest entrance. She nests in the ground, and lines the cells for each of her offspring with a glandular secretion like cellophane. 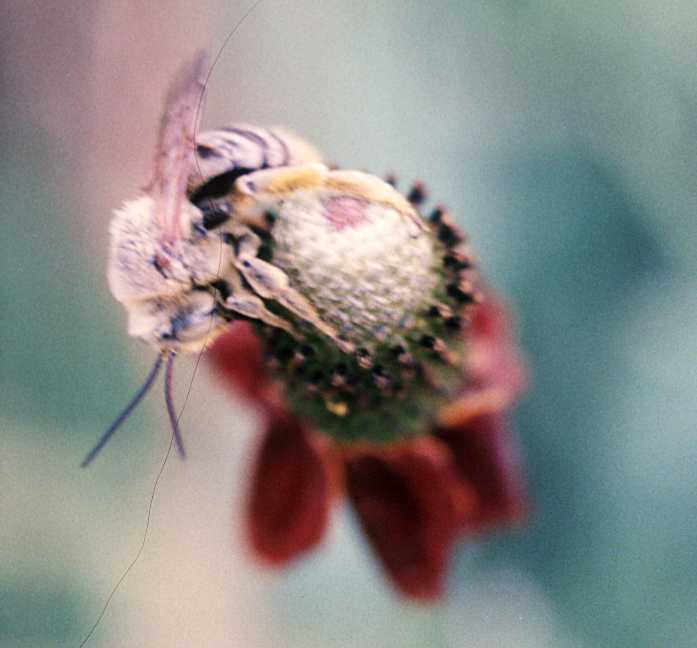 Digger bees , Anthophoridae, male on cone flower (note long antenna), Ratibida columnifera; female on Cosmos (note pollen baskets on hind legs). Carder bee, Anthidium sp.? on Gallardia. 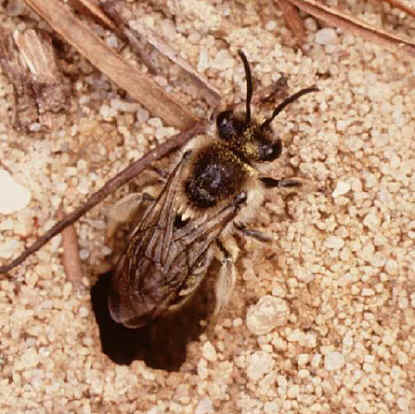 A twig nesting bee that uses cottony plant hairs in it's nest. Carpenter bee male, Xylocopa virginica, taking nectar from Wisteria. Note yellow clypeus (part of the face). 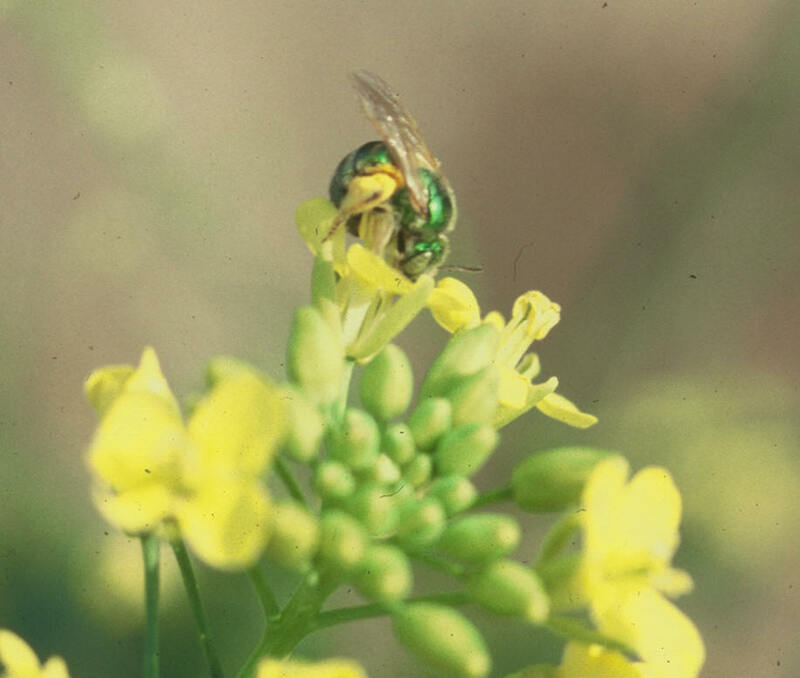 Yellow faces are common in male bees. 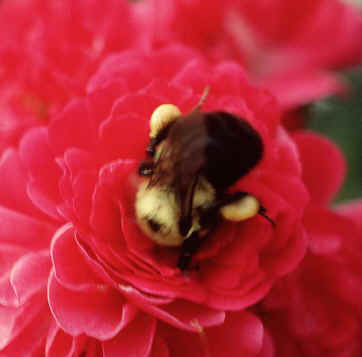 Bumble bee, Bombus sp. on rose These bees live in annual colonies, with a queen and workers. 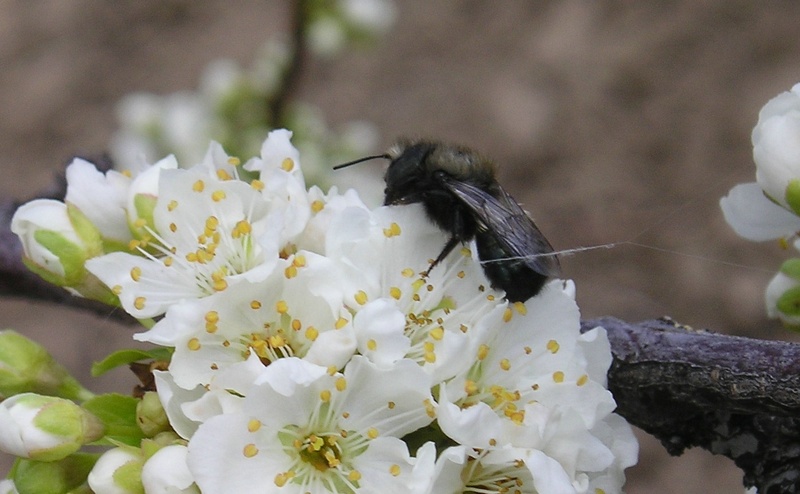 Note pollen loads on hind legs. Bug Guide's bee photo pages. Be sure to click on the other tabs at the top of this site. 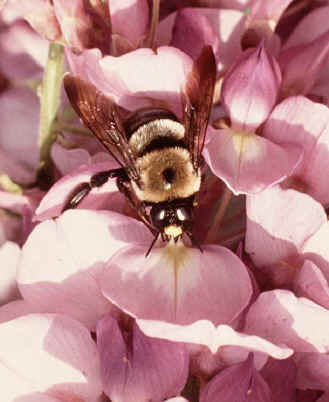 Bees of Maritime Canada - Ag. & Agri. Food Canada, Kentsville, Nova Scotia. Great photos! 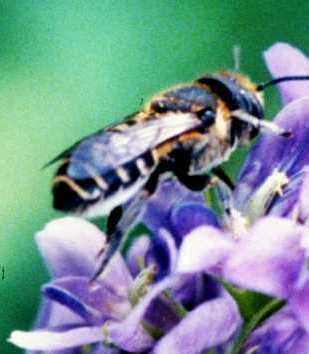 Bee Genera of Eastern Canada. Photos start around page 6. Large manuscript, 31MB. 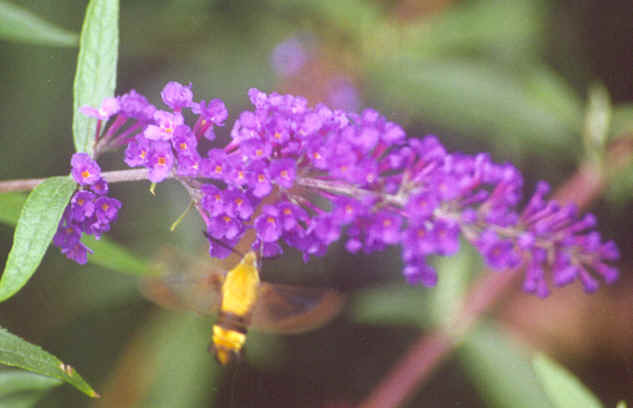 US Forest Service pollinator of the month. 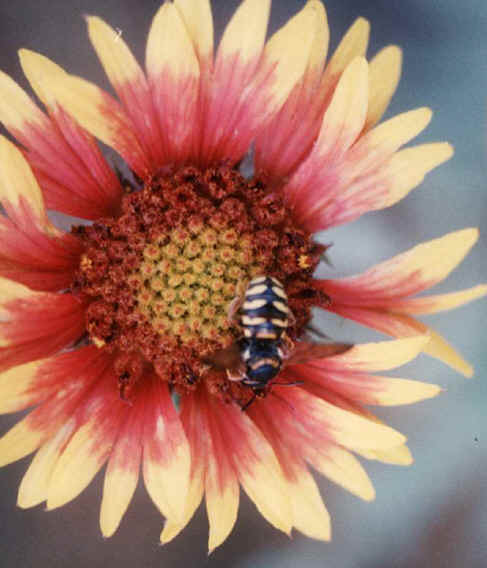 Not all of the photographs of pollinators on this website are bees, but many are. 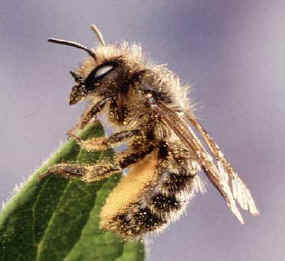 Megachile sculpturalis, the Giant Resin Bee from Asia, new in the Southeastern USA. Copyright © 2001 Karen Strickler. All rights reserved.